Experts are at a loss for why Salmonella enterica, the strain implicated in the recent egg recall, has continued to infect millions of eggs every year for at least the past 35 years. Much evidence seems to suggest, however, that salmonella runs rampant throughout conventional poultry products because of tight living conditions and unnatural raising methods that harbor and spread disease.According to a recent Washington Post article, Salmonella enterica has likely increased throughout the years due to widespread changes in the way chickens are raised. Once free to roam on pastures, chickens of old largely inhabited small-scale, local farms. Today, most conventional chickens live in tight cages with millions of other chickens on large-scale, feces-ridden factory farms. Reports indicate that roughly 142,000 cases of egg-related salmonella infections are reported every year in the U.S. And it is estimated that roughly 2.3 million of the 47 billion eggs produced every year are contaminated with salmonella. Based on historical records, a huge upswing in salmonella contamination occurred in the early 1970s, and continued throughout the 1980s. 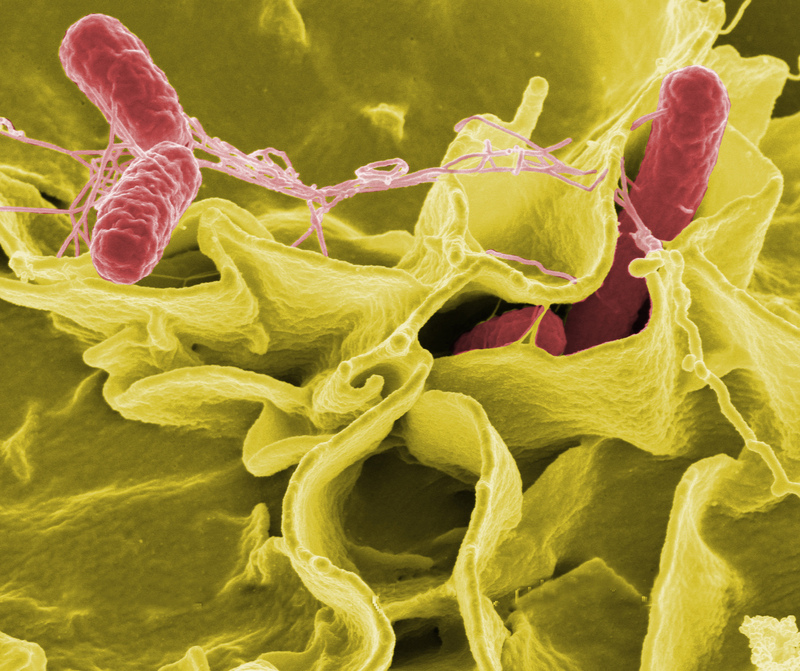 According to reports, infections from Salmonella enterica increased by over 600 percent during that time period when, prior to the ’70s, the illness was hardly a threat. So what is responsible for the massive increase? Well, around the same time as when Salmonella enterica emerged, many local egg farms were consolidating and industrializing their hen raising methods. Farmers realized they could save money and get better yields by packing thousands of chickens into enclosed hen houses and altering their feeding schedules. Starving hens and keeping them in cages away from natural sunlight causes them to unnaturally produce three-to-four times as many eggs as natural chickens, but it also creates the perfect conditions for diseases like salmonella to fester and proliferate. ← Stainless steel water bottles: Are they better than plastic and glass?